Originally posted March 1 2008 at 13:03 (which was St. David's Day) under General. 0 Comments. Trackbacks Disabled. A little while ago I mentioned the job. Well, sometimes something more interesting comes along than the normal (in fact, EngDesign are something of specialists in the unusual). So it is that I found myself inside a windmill, in London. The Brixton Windmill was built in the early nineteenth century, and though only powered by wind until the 1860s its working life continued, using steam and gas power, until 1934. The mill past into the hands of local authorities, being restored and opened to the public in the 1960s. It has since fallen back into decline and neglect however. 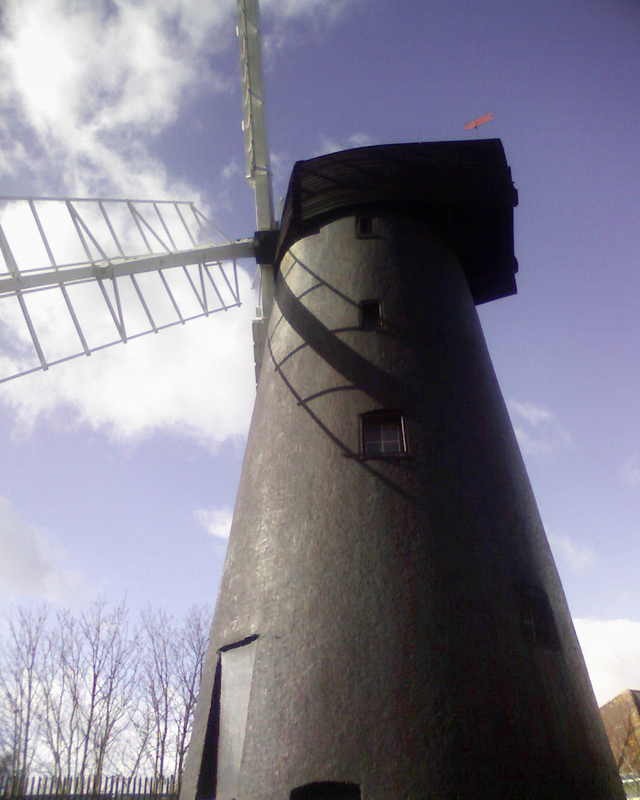 Now a local group, the Friends of Brixton Windmill, are leading efforts to once again restore this historic structure. With that in mind there are currently a variety of different surveys under way to establish exactly what state the windmill is in and what needs to be done to restore it and make it a focal point for the local community.